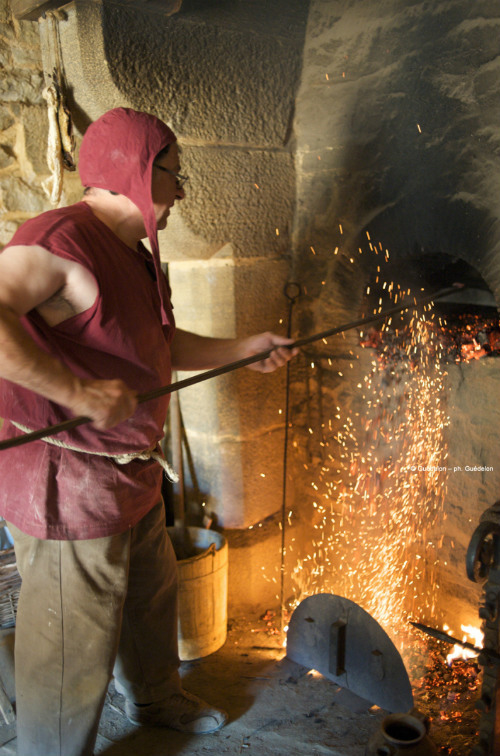 Home > Blog > Learn how to bake sourdough bread in a medieval castle oven! 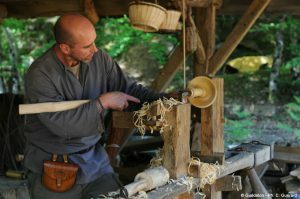 Take part in a 21st-Century medieval adventure… Watch and learn how sourdough was made, wood was turned and pots were thrown exactly as it was done in 1228. Back in 2014, we wrote about the amazing Guédelon Castle project, just one hour from our depot. It amazed us then and continues to do so now. 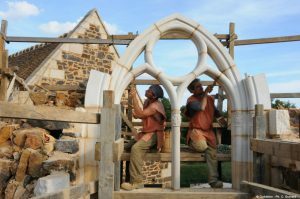 Over the last three years, the volunteers have inched closer to building a complete medieval castle. This ambitious project to build a medieval castle from scratch started in 1998. It’s like exploring a movie set, except the place is actually built from real stone and there are about 70 craftsmen and women working on it full-time! Check out the Guédelon website (in English) to see video footage and read more about the work. This year the Guédelon team have introduced bread making, pottery and wood-turning demonstrations. Check out the specific dates to see if you can coincide your visit with a medieval demo! The Guédelon volunteers are even making the sourdough bread from flour milled in the castle watermill. So, it really is about as authentic a look at the workings of a medieval French castle as you can get. France Motorhome Hire clients of all ages have been visiting the castle since 2010, and all have raved about it. So, if you are picking up a motorhome at our depot between now and November (when the castle closes for winter), be sure to fit in a visit to Guédelon. For ideas and suggestions of where to park overnight read ‘Secrets of a medieval castle‘. ← I need bikes for my children in France. Can you help?